Sandy Hill of Daniel Island Real Estate (left) and artist Sara Shrouds (right). 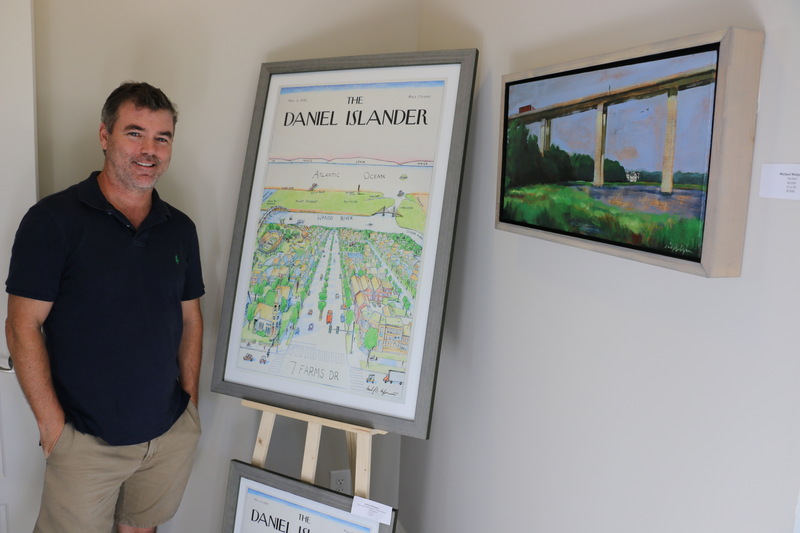 Artist Michael Mulqueen poses with his popular “Daniel Islander” poster print and an acrylic painting depicting the James B. Edwards Bridge over the Wando River. 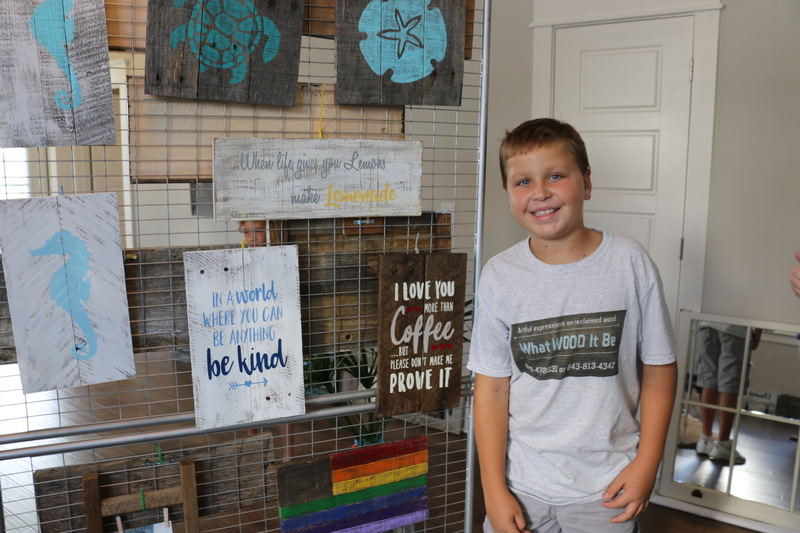 Daniel Island resident Caden Scott was the youngest artist displaying work at the pop-up art shows. Caden’s handmade “What WOOD it be” creations were a big hit among guests. 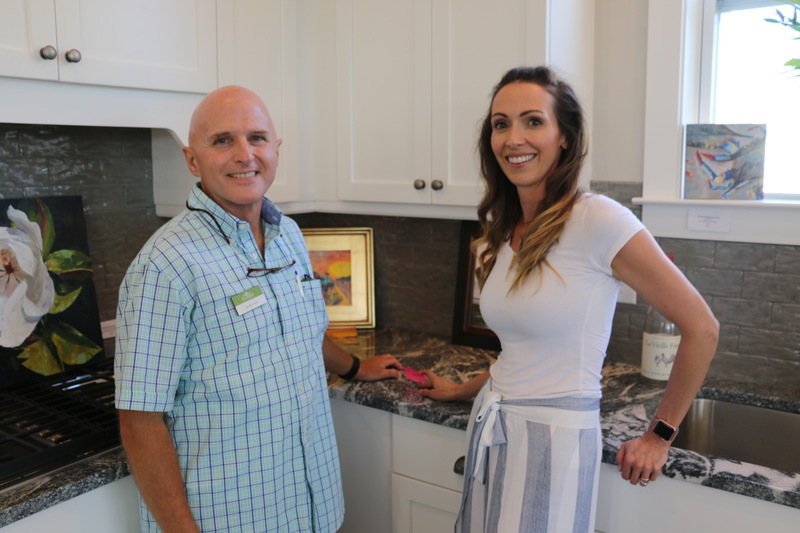 Open houses at two new David Weekly homes on Daniel Island last weekend featured more than pristine interior spaces showcasing the latest construction designs. The properties, located on Bellona Street in Smythe Park, also served as the backdrop for two pop-up art shows. The festivities showcased the work of 17 local artists, some of whom were painting on-site. Multiple pieces were available for purchase. 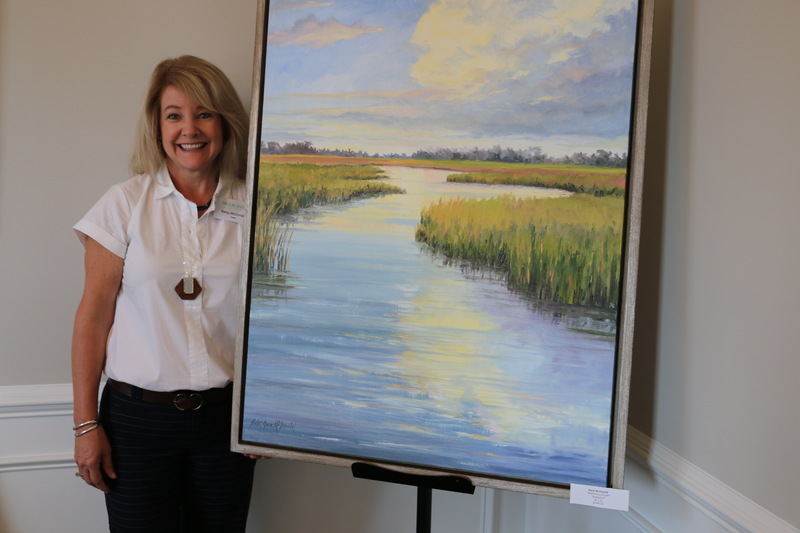 Daniel Island resident and artist Heather Jones, who coordinated the shows, estimated that more than 300 people stopped by during the event.